We had decided earlier that since at one point two hours had been set aside on Saturday for Ron-Kon 2 revelers to hit Amoeba Hollywood, that we three would go on our own on Friday. For a quality experience. The one time I had shopped there with Ron in 2015 my wife was offsite so I got through there in 90-120 minutes. I had to skip over many things. Chasinvictoria usually went there, but this was Mr. Ware’s first visit. He wanted to have some quality time. We parked in the garage onsite [!] and made our way up the stairs. The entry corridor was covered in music stickers and album covers plastered over all surfaces save for the floor, indicating our transition from normal ready into the Amoebaspace. Then we were in the entryway and Mr. Ware stood there, stunned. Talking it all in as one does. 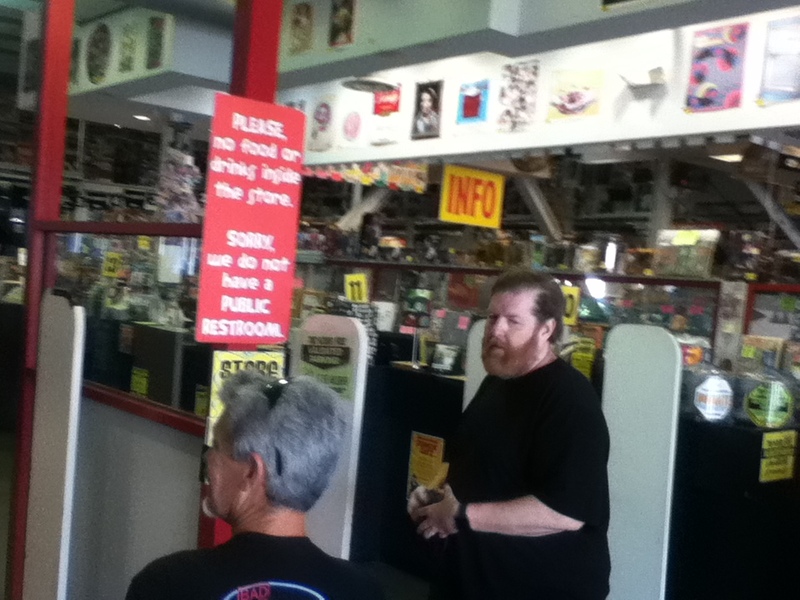 [see photo] I was shocked at the sign proclaiming “no public restrooms” as any serious music buyer would need at least two or three bathroom breaks to sweep the store properly for desirable goods! Either that or they would need adult diapers to sufficiently shop through it all! Little did I know that this was to be a trend for this journey. I made certain to take sufficient photos for this post and did a quick recon on the floor to make the video embedded below to give those who have never been a good idea of the enormity of it all. We then split up and proceeded to dig deep into the store. It’s so Brobdingnagian, I can’t imagine “doing it” any other way! If we went through together, searching and quipping, we would be there a full day! I peeled off and went upstairs to the video area first. The last time I was there I had found a [bootleg] CD-video of Japan’s “Oil On Canvas.” I scoped out the import DVDs but could not find any music video to save my life. But oh, I did find the laserdiscs. And this was a pretty good selection of the antique analog optical video format. By jingo, they even had some import Japanese music videos. Would there be anything of interest? Survey says…YES! 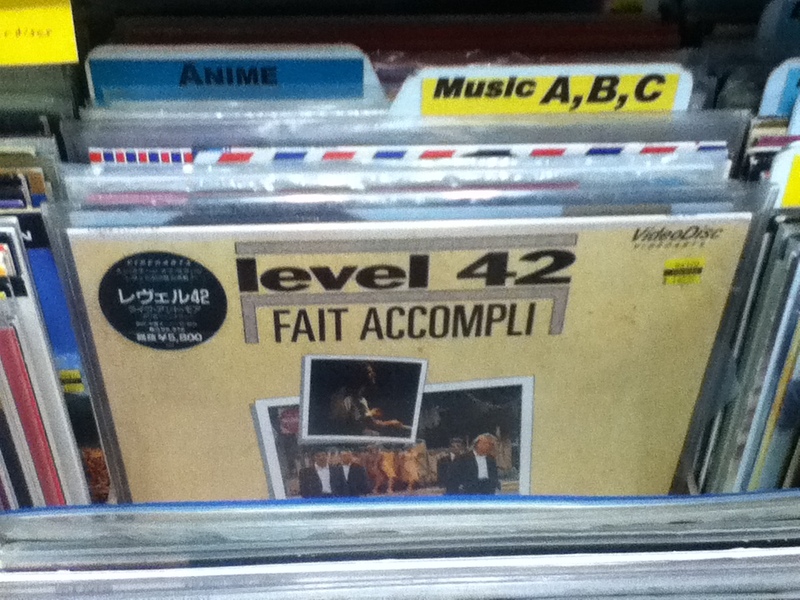 Great Googly Moogly – Level 42’s “Fait Accompli” was one of their live videos and one of the L42 LDs that I never got back in the day! At $14.99 I opted not to since I wagered that it might be available on the more modern, obsolete digital video format [i.e. DVD]. I went downstairs and immediately set off for the used 12″ single vinyl. I had gotten some fabbo items there on my last visit, so I started there. I saw a Razormaid with a fine Claudia Brücken mix which I already had. Good stuff that I already had was always a good sign. Howard Devoto’s sumptuous “Rainy Season” single always delights. 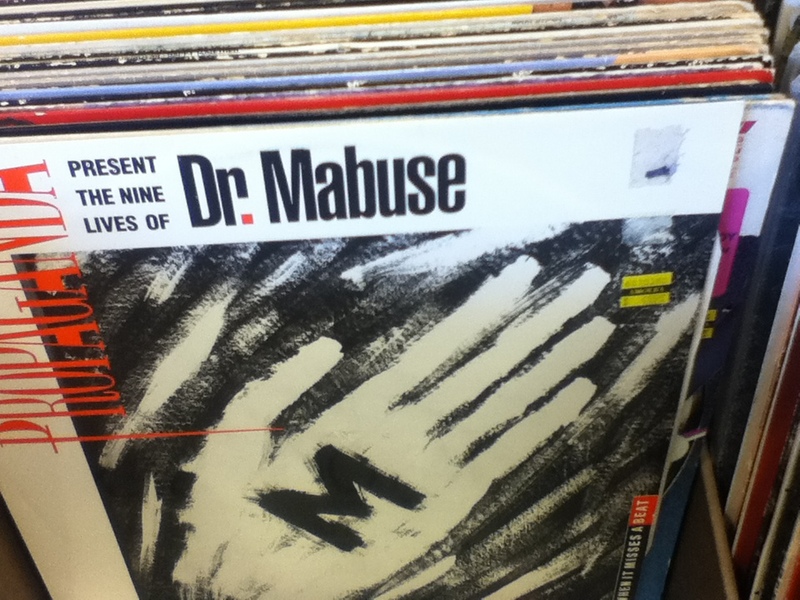 As does “The Nine Lives Of Dr. Mabuse” by Propaganda. 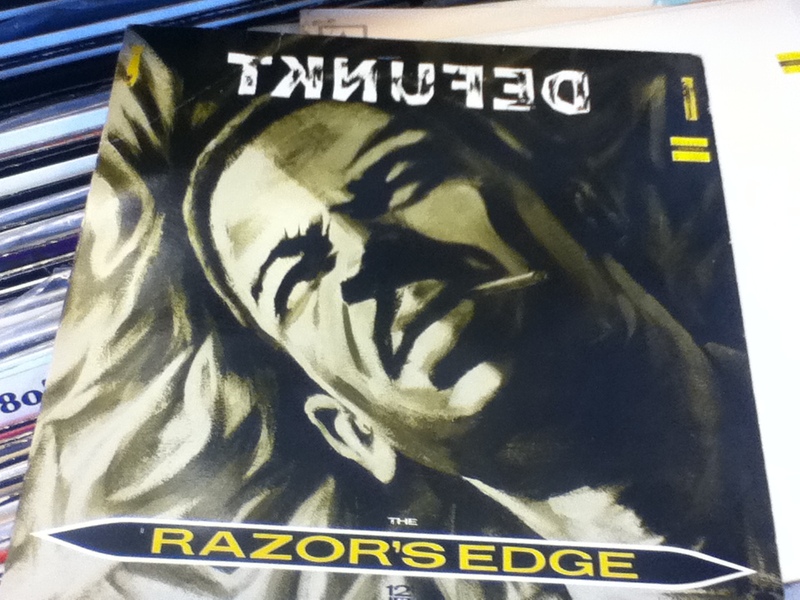 Of course, this copy had seen better days; unlike my Propaganda vinyl. Lately, I have been in contact with Mr. Ross Stapleton via this blog and he had mentioned many of my favorite acts which he had either signed or worked with while at Virgin Records during their indisputable Imperial Phase… with the exception of The Ward Brothers, whom I’d never ever heard of. 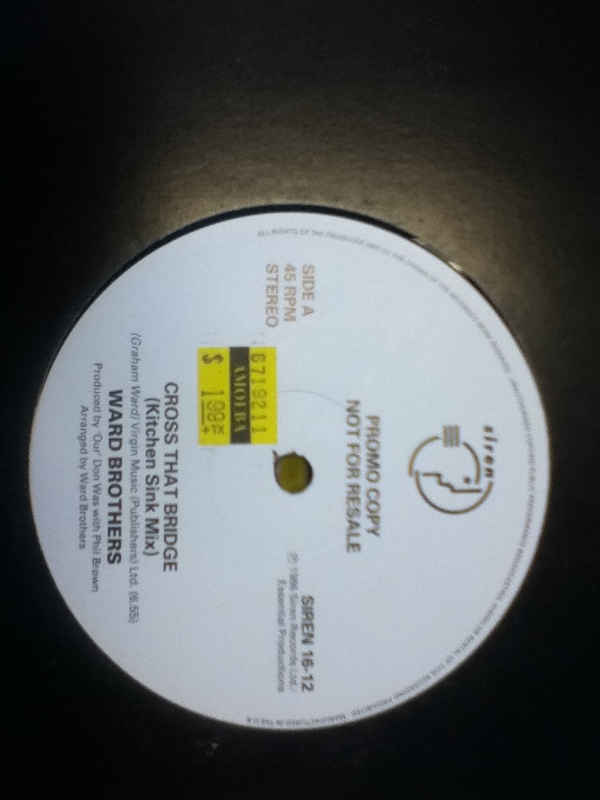 If Ross Stapleton was a fan, then I’d definitely grab the WLP 12” of “Cross That Bridge,” which was a Don Was production to boot! Ooooh yeah. I’ve been waiting for this one for 37 years! My major score here in the 12″ singles was something I used to hear on WPRK-FM in 1981 and it’s haunted me ever since: Defunkt’s “The Razor’s Edge/Strangling Me With Your Love” UK 12″ single! And it was the UK copy in the beautiful Neville Brody sleeve with a painting of Joe Bowie on the cover. 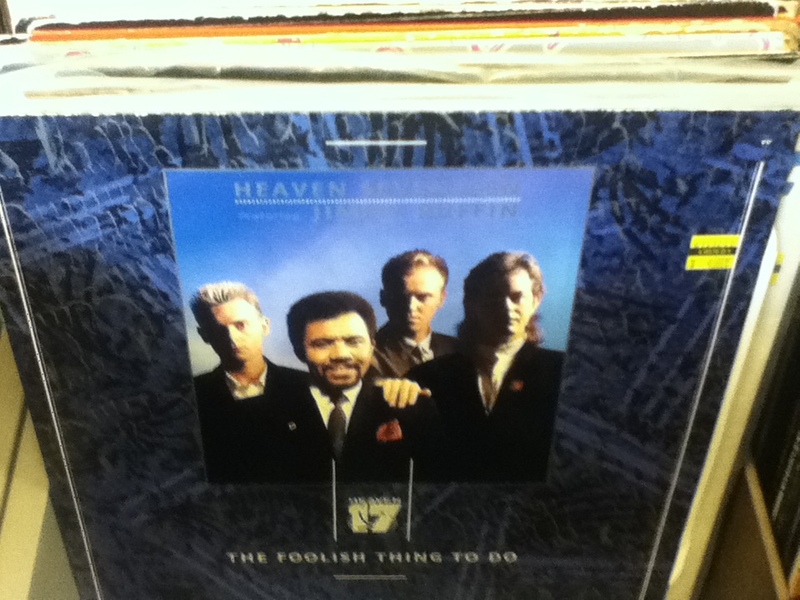 I also saw an Icehouse UK 12″ of “Taking The Town,” but that one’s been in the Record Cell for a long time. This visit I managed to get a look at the 7″ single action available in this store. Good gravy, there are many boxes of them all tucked away [as these things usually are] but the boxes were all helpfully organized in a highly visual way that I’d seen before. 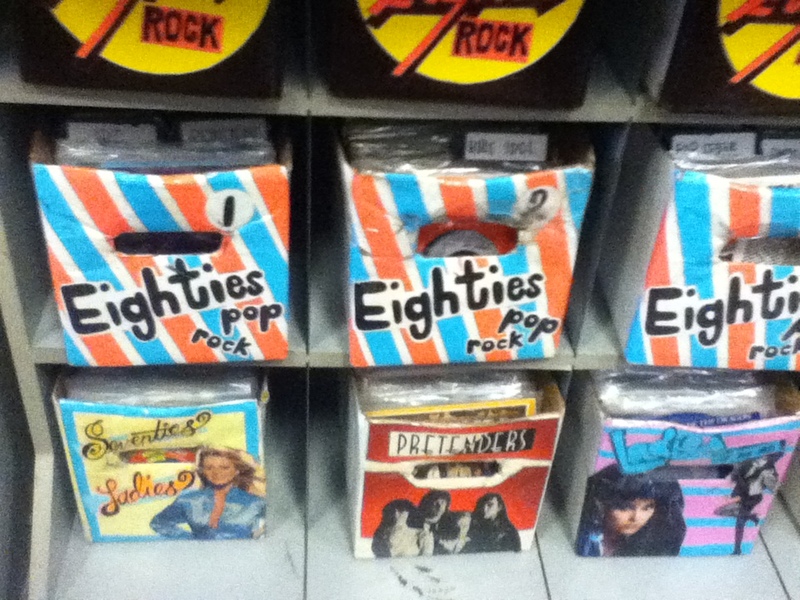 I spent about 10-12 minutes in the 7″ zone. it wasn’t easy to browse them since we were supposed to take the boxes out and put them on a nearby counter to flip through the. I was not the only person there that day with a taste for the 45. I had to wait until I had a berth to view these singles. 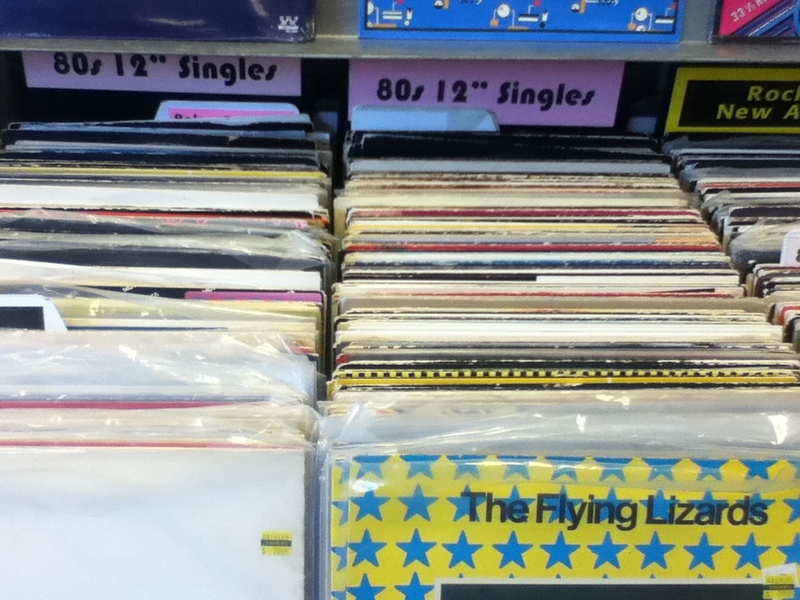 Most of the stock seemed to be US singles, so I was flicking through pretty quickly. Had they been UK imports, I might have gone through the boxes I pulled with a fine-toothed comb. 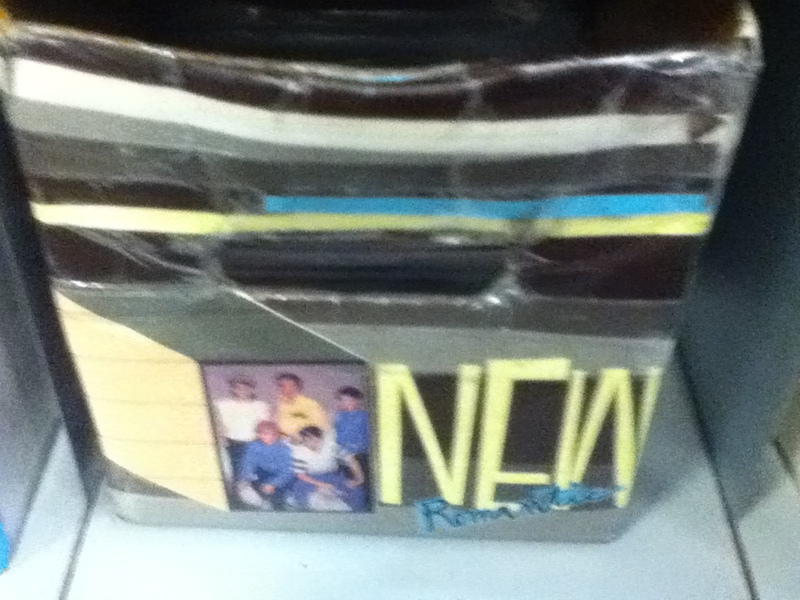 The most amazing box of singles was one marked “New Romantics” with a Duran Duran pic on it! I find that a pretty obscure nomenclature for America, but I respond to it like a bear to honey. Alas, I looked through and it had lots of US releases from, yes, Duran Duran but also post-sell-by period Thompson twins. A damp squib, as the British might say. While I was there Mr. Ware came to ask me a question. He was toting an item that I had never seen before… an Icehouse BSOG entitled “Complete Works,” which seemed to contain all of the amazing DLX RMs that the band have issued in the last eight years! He asked if I wanted to buy it. 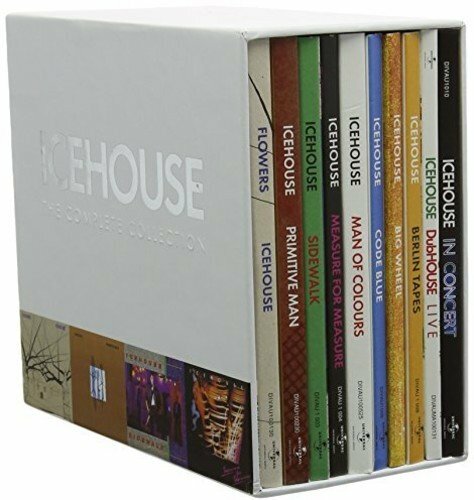 I had sprung for the “Flowers: Icehouse” 2xCD+DVD straight from the Icehouse website back in 2010. That and the “White Heat” 7″ edit collection with all of the Icehouse videos in 5.1 surround mix. The pre-release sales were signed by Iva Davies. But I had not gotten any of the others that had filtered out over time. There was less money as I entered into a period of more active traveling. I had lived this long without them, so I told him that he should go for it. He had not upgraded form any of the original OZ CDs from the late 80s. I had saved a lot of money for this trip and the thought of spending a huge chunk of it on one item, even one as perfect as this, seemed a bit limiting to me. So that was his sole purchase at Amoeba. $90 of the best dollars spent ever! Three of these CDs come with a DVD packed with amazing live shows/TV appearances. Four of them are multi CD sets. If we wanted the recent “In Concert” CD it’s hard to grab for less than $40 with postage. This was an insane deal that none of us had ever heard of. Apparently, the box was issued in April of 2017 on the instance of the band’s 40th anniversary. I should probably think about getting one of these sooner than later. 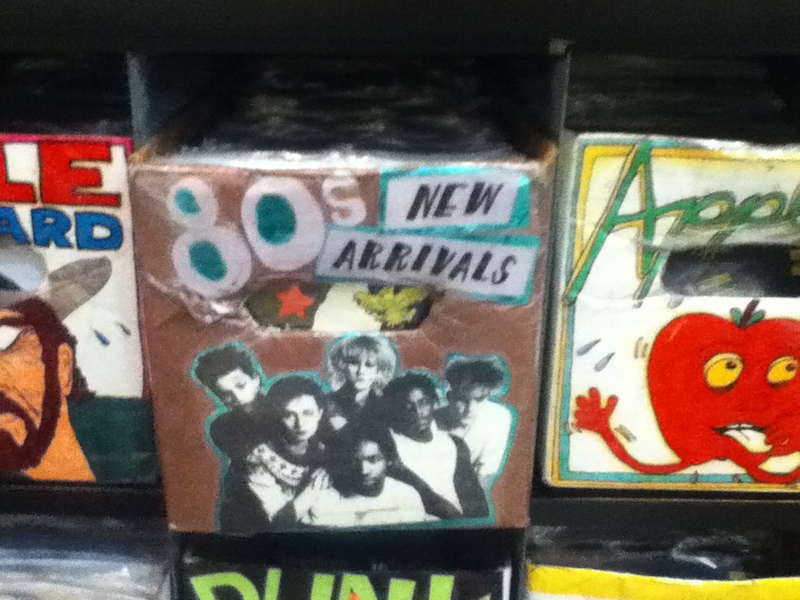 This, plus the 12″ remix CDs and the US remixed “Icehouse” and I’d say you would have 95% of everything. After that break, I moved into the CD zone, where my story really began. On another note, this day marks what would have been Ron Kane’s 60th birthday… and my eighth year blogging on the WordPress platform. Next: …Finally – Lexicon of Love 2! This entry was posted in Record Shopping Road Trip, The Great Record Stores and tagged 2018, Amoeba Records, Chasinvictoria, Mr. Ware. Bookmark the permalink. Yay! Finally you got LoLII! I would be leery of any LD purchase. I don’t really follow the format online (still keep up with Super 8mm stuff) but I would be concerned about laser rot. I honestly don’t know if it isolated to a certain time and pressing plant or if it can happen to any disc over time. A used record store here has an ABC Mantrap and every time I go in I want to snag it despite knowing that the copy that i used to own was unplayable due to rot. Tim – As I recall, there were certain LD plants/manufacturers who were particularly bad at making discs that oxidized. CBS Fox for a start! Japanese discs tended to be the gold standard, but I had one; my Sylvian/Fripp one [arrrrrgh!] that rotted within months of release!! I have the “Mantrap” LD. I’ll have to see how mine looks and report back with my findings. I have the laserdisc in question, and it has no problems whatsover. just to have it, and also the CED version just to be complete. to look grainy and blown out anyways. worried about, or seen laser rot on discs that i have, or gotten used. I had several that rotted, the trend that I spotted was that they were ones pressed early on. My Sylvian/Fripp never rotted, at least while i had it. I ripped it to DVD and sold it when I bailed on LD. Tim – Back when I subscribed to “The Perfect Vision,” the quarterly LD/hi-end video digest they ran stories on the worst pressing plants. Back when I was a bleeding edge video fool! I used to work for a place that sold and rented laser disks and we had video trade journals that had all sorts of crazy stuff. I remember reading once that a certain laser disk was delayed because the disks were pressed in Mexico and were good to go but the sleeves were printed in the states and the printer basically blew the job off so they didn’t have anything commercial to put the disks in to meet the street date. That video… omg, I have change my underwear now. I . must. find. a. way. there. 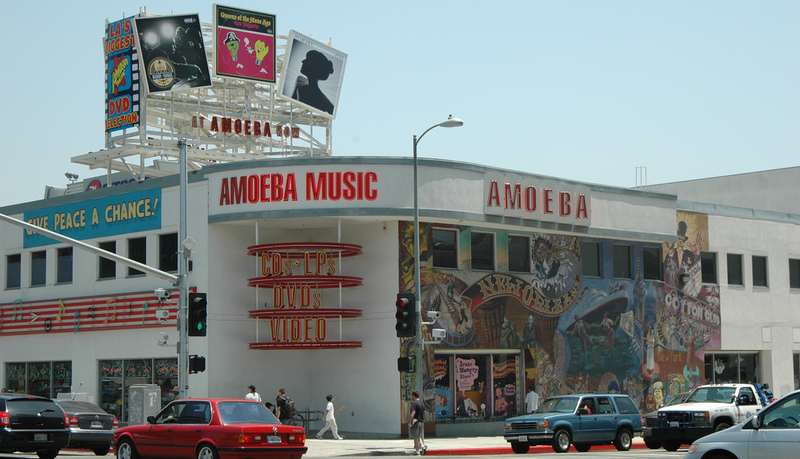 Amoeba is like where record collectors go when they die. The video area the Monk refers to is about 1/3rd the area of the main record floor. Not seen in the video, incidentally, is the jazz/blues/folk “back room” which again is about 1/3rd the size of the main record floor, and is in the back. There’s also (briefly seen) an area where bands can (and occasionally do) perform. It is truly an amazing place and meticulously organized.